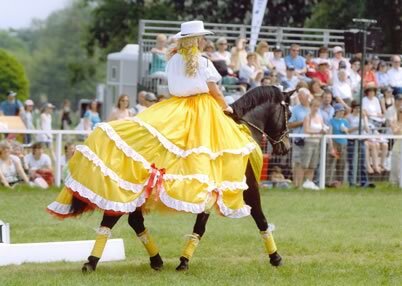 Showman by the well known sire Peveril Peter Piper is now 7 years old and has been out under saddle this year doing HOYS M&M Working Hunter Pony Qualifier Classes. 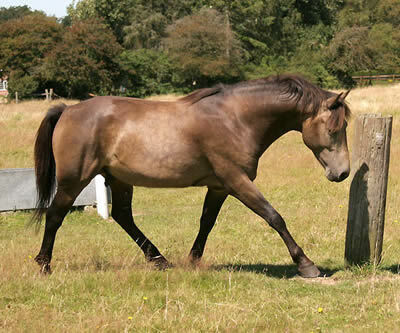 He has really taken to jumping, clearing 2 ft 9ins (84cms) with ease, enjoying the challenge. 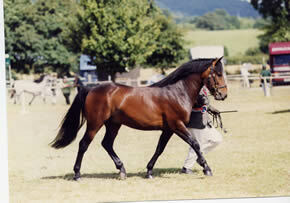 His stock which seem to inherit his easy temperament have had considerable success in the show ring. At the end of the season he will be tested for possible AI use next year as well as continuing to take mares for natural service. 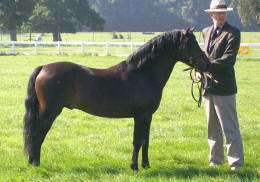 Showman has qualified for HOYS at the New Forest Show so will contest the final in October! 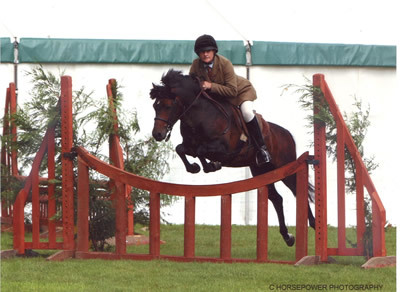 Before winning his section of the HOYS WHP at Brockenhurst he was Working Hunter Pony Champion at Wimborne Show and then on the 9th August at Ellingham he was Champion ridden, not bad for a 121.5cms pony! 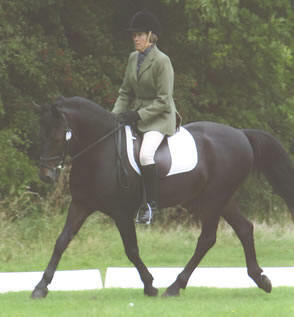 Showman also competed in his first One Day Event at Tenantry Farm against horses which he won finishing on his dressage score. 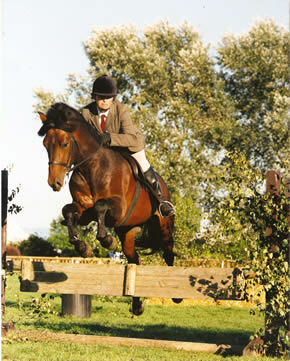 He then took second place at Bucks County in the HOYS WHP Qualifier. 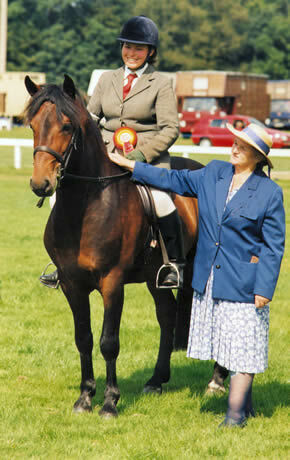 Showman behaved like an angel at Hoys but unfortunately had a fence down. 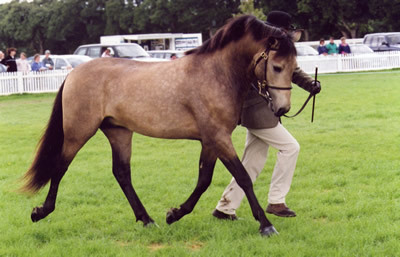 He finished in 10 th place but certainly was a good ambassador for the breed. It was his first big final and we were very happy with the way he tackled the fairly testing course, and with his overall attitude and performance. Page is under construction while I look for more pictures.